The number of vehicles not only determines how many nitrogen carts and how much nitrogen capacity you need, but you also need to know if you plan to fill every vehicle or if you plan to fill two or more vehicles at a time. Systems come in various sizes and capacities, so you need to consider the number of tires you’ll be servicing each month as well as if you plan to service multiple vehicles at once. Knowing this will ensure that you purchase a system that can handle the volume of your fleet at a speed that works for your drivers and maintenance crew. 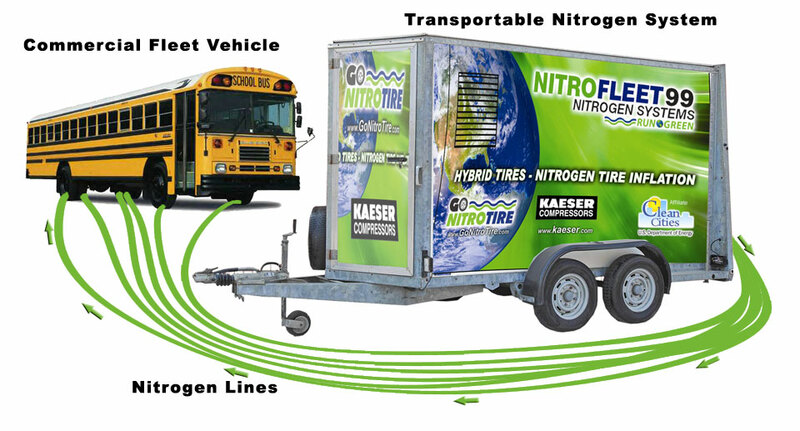 With your nitrogen tire system, you need to know which characteristic is more important for your overall fleet management. If space is tight, then you probably don’t want a system that is too large or has too many hose reels that require additional storage space. You may not necessarily want a mobile nitrogen tire program, as you may not have the space to move the carts around so they can reach every single tire. Of course, if you have the space, then mobility might be a more convenient option. Naturally, you’ll need to balance space and mobility with the number of vehicles you plan to service. Mobile may be tougher to have it you’re servicing over 1200 tires per month, but could be a nice alternative in case a vehicle just needs to be topped off and doesn’t need a full maintenance check. But, mobile is easier if you have a small fleet and are capable of handling more individualized service and maintenance for your fleet vehicles. 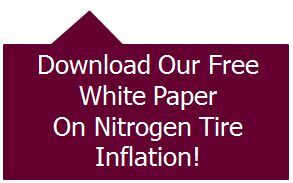 A nitrogen tire inflation system may be a hesitant purchase for many managed fleets, since the practice is brand new and not something that’s already been tested with the fleet. This may lead to a hesitant purchase, one that doesn’t include the ability to scale or to consider future use in terms of servicing larger or additional vehicles. For some managed fleets that aren’t projecting or planning to increase the size of their fleets, purchasing a system that meets current needs isn’t a bad idea. However, there are instances where purchasing for future need is a good idea. If your company is planning to purchase more, or bigger, fleet vehicles in 2014, or if you’re going to add nitrogen tire programs to other locations or maintenance centers, then doing a bulk purchase may be smarter and better for the bottom line.